Life Style There are 62 products. Wooden key ring for bunching the keys. Pretty joker, pretty key ring, highly attractive. Non toxic natural dyes used to adorn the Key ring. Smartly crafted by artisans from Channapatna. Wooden keyring for bunching the keys. 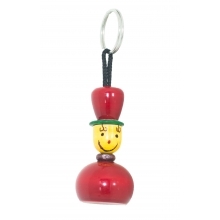 Pretty Parrot guise making up the pretty keyring. Non toxic natural dyes used to adorn the product. Smartly crafted by artisans from Channapatna. Wooden keyring for bunching the keys. Pretty Duck guise making up the pretty keyring. Non toxic natural dyes used to adorn the product. Smartly crafted by artisans from Channapatna. Wooden keyring for bunching the keys. Pretty Lilliput guise making up the pretty keyring. Non toxic natural dyes used to adorn the product. Smartly crafted by artisans from Channapatna. Wooden keyring for bunching the keys. Pretty human guise making up the pretty keyring. Non toxic natural dyes used to adorn the product. Smartly crafted by artisans from Channapatna. Wooden keyring for bunching the keys. Pretty Policeman guise making up the pretty keyring. Non toxic natural dyes used to adorn the product. Smartly crafted by artisans from Channapatna. Pretty wooden box ideal for utility, jewelery, dry fruit, and gifting purposes. Prettified with charming Dots and Stripes design. 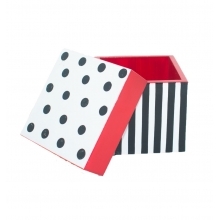 Colorful decent gift box for gifting the valuables. Handcrafted in channapatna. Wooden keyring for bunching the keys. 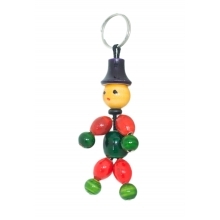 Pretty Hatman guise making up the pretty keyring. Non toxic natural dyes used to adorn the product. Smartly crafted by artisans from Channapatna. Wooden keyring for bunching the keys. Pretty Gentleman guise making up the pretty keyring. Non toxic natural dyes used to adorn the product. Smartly crafted by artisans from Channapatna. Wooden keyring for bunching the keys. Pretty Beats man guise making up the pretty keyring. Non toxic natural dyes used to adorn the product. Smartly crafted by artisans from Channapatna. Wooden keyring for bunching the keys. Pretty Sparrow guise making up the pretty keyring. Non toxic natural dyes used to adorn the product. Smartly crafted by artisans from Channapatna. Wooden keyring for bunching the keys. Pretty Woman guise making up the pretty keyring. Non toxic natural dyes used to adorn the product. Smartly crafted by artisans from Channapatna.